The Norwegian PSC Research Center (NoPSC) was established on the 19th of May 2008 at the Medical Department, Rikshospitalet upon signing of a contract between the University of Oslo and Rikshospitalet on the handling of funds from Canica A/S. The funds are exclusively dedicated to research related to basic and clinical aspects of the chronic liver disease primary sclerosing cholangitis (PSC). NoPSC is now a separate center within the Clinic of Surgery, Inflammatory Medicine and Transplantation at Oslo University Hospital (OUH) Rikshospitalet, and is also affiliated with the Research Institute for Internal Medicine, OUH Rikshospitalet and the Institute of Clinical Medicine at the University of Oslo. NoPSC has a broad range of both local and international collaborators (see annual reports for more information). NoPSC has also established the International PSC Study Group (www.ipscsg.org). 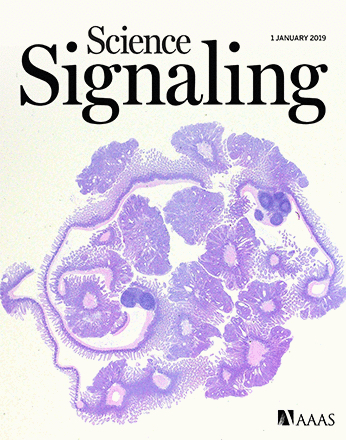 Genetic variations in G protein–coupled receptor 35 (GPR35) are associated with an increased risk for primary sclerosing cholangitis (PSC) and related cancers however the general function of GPR35 is poorly understood. Using Gpr35-deficient mice, we found that GPR35 promotes the activity of sodium/potassium-ATPase, a ubiquitous and essential transmembrane pump that regulates cellular metabolism and proliferation. A genetic variant of GPR35 associated with PSC heightens sodium/potassium-ATPase activity, enhancing glycolysis and proliferation of intestinal epithelial cells compared to non-PSC-associated GPR35. Intriguingly, treatment reducing GPR35 activity decreased tumor burden in mice suggesting that GPR35 could be an attractive target for the treatment of PSC and related cancers. Bacterial products from inflamed leaky gut are hypothesized to contribute to bone duct inflammation. To test this hypothesis, we investigated whether circulating markers or bacterial translocation associated with transplant-free survival in patients with primary sclerosing cholangitis (PSC). Compared to healthy controls, PSC patients show increased levels of the bacterial translocation markers CD14 and LBP. High levels of CD14 and LBP were associated with poor transplant-free survival, independent from Mayo risk score, indicating that ongoing gut leakage could impact the pathophysiology or PSC. Natural killer T (NKT) cells represent a major lymphocyte population in the liver that likely regulate immune-driven liver diseases such as primary sclerosing cholangitis (PSC). In our present study, we explored if NKT cells elicit liver inflammation by treating mice with the NKT cell agonist oxazolone. We found that animals with NKT cells (WT) developed acute cholangitis following oxazolone injection after seven days whereas NKT cell-deficient animals (Cd1d-/-) did not develop disease. Our findings implicate that NKT cells are involved in liver inflammation. The elucidation of this biliary immune pathway may be important to better understand PSC pathogenesis and lead to the development of new therapeutic approaches for cholangiopathies. 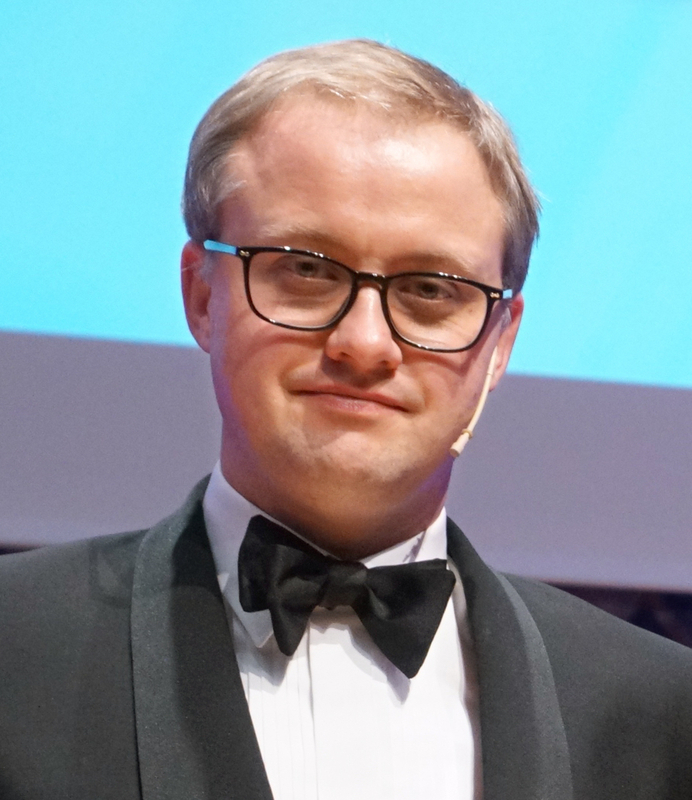 Espen Melum is the 2018 recipient of the Anders Jahre's medical award to young researchers for his work on primary sclerosing cholangitis (PSC). Espen is a group leader at NoPSC and shares this year's award with Danish Martin R. Jakobsen at Aarhus University. 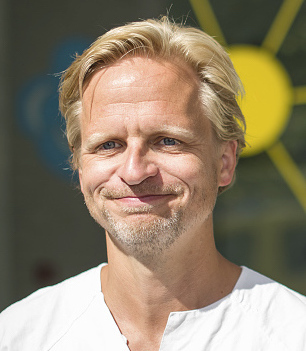 NoPSC group leader Johannes Hov has received a Starting Grant of 1.5 million EUR from the European Research Council (ERC) to investigate the importance of intestinal bacteria in disease and determine whether exiting drug targeting gut bacteria can be used to treat primary sclerosing cholangitis (PSC) . The exact causes of primary scleorsing cholangitis (PSC) are unclear however PSC is strongly associated with autoantibody production by B cells and inflammatory bowel disease. 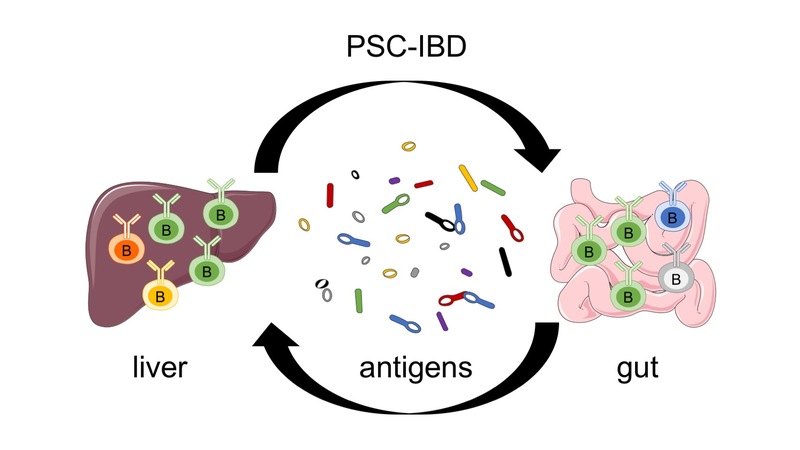 We discovered that a significant number of gut and liver B cells in patients with PSC recognize similar antigens. This suggests that antibody-producing B cells circulating amongst the gut and liver may contribute to chronic inflammation in PSC. Overall these findings support ongoing efforts to better understand B-cell responses in PSC as a means of identifying relevant antigens, knowledge that could inform the development of novel treatments. NoPSC congratulates Espen Melum and his research group as the South Eastern Norway Regional Health Authority Researcher of the Month - March 2018. 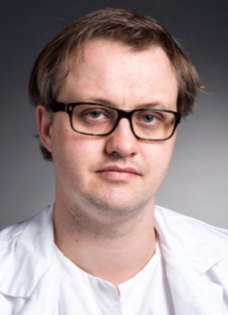 Espen leads the Experimental Hepatology Research Group at the NoPSC and his team has identified a role for non-conventional T cells in liver inflammation that could lead to new treatments for PSC. Primary sclerosing cholangitis (PSC) is a rare and progressive liver disease with important knowledge gaps and unmet needs. The close association with inflammatory bowel disease and the high risk of cancer in the liver and gut have strong impact on patients and their follow-up. With limited therapeutic options, PSC has long been the leading indication for liver transplantation in Norway. What is the current state-of-the-art management in PSC and what are the advances in this field? This article published in the Journal of Hepatology emphasises recent developments related to patient stratification and disease behaviour and provides an overview of management options from a practical, patient-centred perspective. 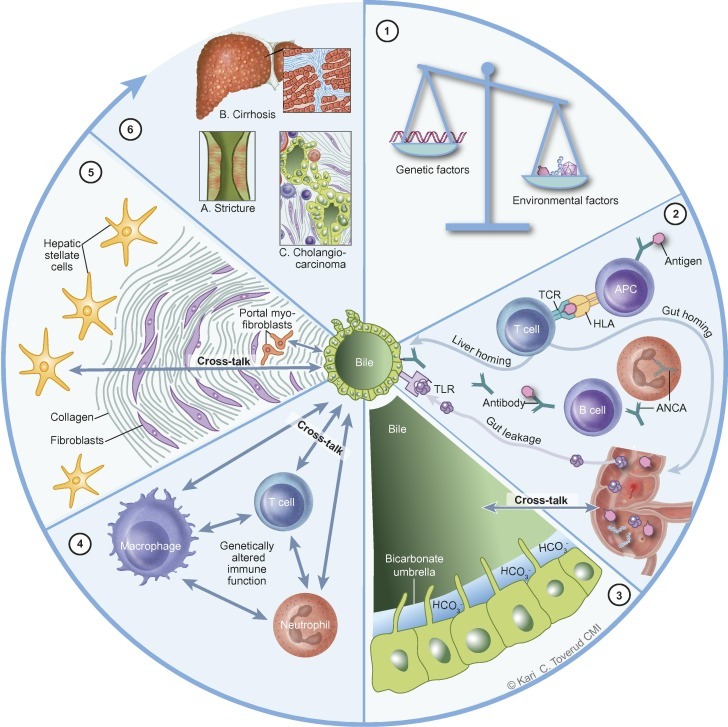 Advances in the understanding of PSC pathogenesis are explained and ongoing efforts to develop effective therapy are summarised. The human gut microbiota is an important determinant for health and disease but what are the most important factors determining its composition? Lifestyle, medication and diet are among the factors known to be important contributors and in our new study, we find that genes are also a key factor. We have identified over 40 specific genes that contribute to shaping the gut microbiota. It was somewhat surprising that our genes also seem to be even more important for orchestrating the composition of the gut microbiota than our gender, diet and age combined; all variables that traditionally have been thought to be the strongest determinants of gut microbiota composition in healthy people. One of the most important genes that were identified was the vitamin D receptor gene which is activated by bile acids made by the bacteria in our gut. It also interacts with several 'healthy' fatty acids, like omega-3 and omega-6 fatty acids found in fish and seafood. Overall, our study represents an important milestone in the work of understanding how humans interact with all the billions of bacteria that live in our gut, and lays the foundation for tremendous research opportunities in the future.